Do you want to taste Victory? 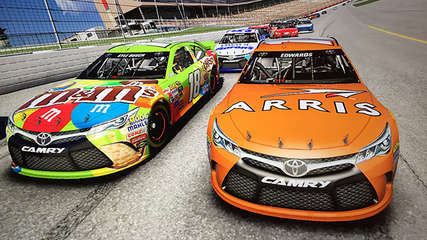 Featuring real NASCAR drivers and authentic tracks, NASCAR '15 Victory Edition is a high intensity, fast paced racing experience guaranteed to keep you on the edge of your seat. INCLUDES OVER 80 PAINT SCHEMES, Quick Race, Career and Multiplayer modes.